Alwin here, of Collectorz.com, with our December 2011 Newsletter. Here is a progress update on our Mac development. Currently, our focus (and therefore this news update) is on Movie Collector 8 for Mac, which is planned to be released on December 27. As soon as Movie Collector 8 is live, we’ll start on Book Collector 8 for Mac, which we hope to release before the end of Q1 2012. Next up after that is of course Music Collector, planned for launch late Q2 2012. Anyway, back to Movie Collector. Meet The Collector, this could be you! We have been sending out our monthly email newsletters since June 2007. One of the best read topics have always been the Meet The Collector stories. These were short stories from collectors themselves and how they use our software to organize their valuables. Some were long, some short, but they were always a great read. Barcode Scanner Sale (inc. CLZ Barry!) – only 18 hours left! What’s New at Collectorz.com Connect ? It’s finally happening, a new major version of Movie Collector for Mac OS X! And it’s *very* close now: We’re currently aiming for December 27.
a more Mac-like user interface and of course, many new features. What’s New in V8 for Mac? more plot summaries (in english, dutch, french, german and spanish). writers, directors, guest cast and screen grab images. Way back when in 1996 Alwin Hoogerdijk, founder of Collectorz.com and my hubby, was sitting on a stack of CDs that were driving him insane. He finally got fed up with trying to remember what he had and where it was. So, he locked himself in a room and started writing a program that would keep track of everything for him. You see, Alwin is a music lover by nature and a computer programmer by profession. Book Collector 8 for Windows is live! It’s finally here, Book Collector 8 for Windows! as we worked on both program features *and* on better automatic book data. for Windows by joining the V8 Club (and getting access to lots of V8 screen shots). If you’re interested in possibly upgrading to the best Book Collector ever, I recommend becoming a member of the V8 Club too (it’s free). This way, you will have the best information available to make the upgrade decision. a major new version: Book Collector 8 for Windows! Even better news: it’s gonna be released within 3 weeks (ETA is November 22). Last day of the month, so it’s Collectorz.com Newsletter time. (and will be working on for the next months, since these are all enormous projects). Late August, I told you about our plans for the Mac editions. In the past 2 months, a lot has happened so it’s time for an update on our Mac OS X development. And I can even show you the first screen shots of the upcoming Movie Collector 8 for Mac OS X! We’ve got 4 developers on this 4-product-project now. Two full-time programmers: Ronald (who is leading the project) and Patrick (our new Mac programmer, started on October 1st). Plus two parttimers: Bernard (working as a hired freelancer for 2 days a week) and Dinh (still working 2 days a week until the end of December). Yep, we’re definitely on a roll. Lots of releases this month (eight of em!) and more coming up next month. On Windows, on Android, on iOS, and yes, we even have a release coming up for Mac OS X (gasp!). CLZ Barry for Android is live! 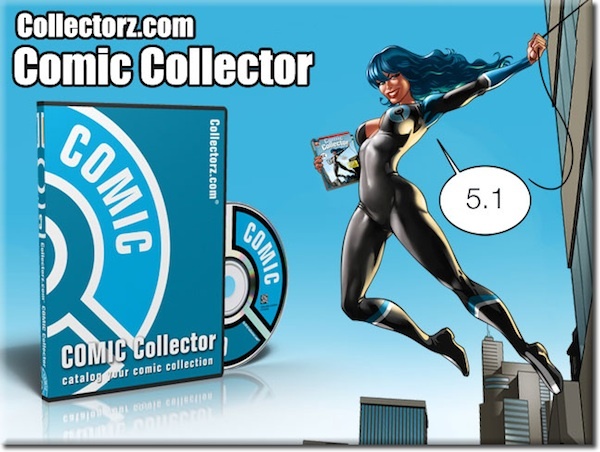 On February 15 2011, we launched Comic Collector 5 for Windows. It introduced the possibility to add comics by barcode, an improved Add Auto screen, automatic Preview Art, the new Find Cover Online tool and much more. Of course we continue to improve our software, so yesterday we released version 5.1. And by the way, the image above is the New startup “splash” screen featuring CeCe! Great news: Barry for Android *will* do comics! CLZ Barry for Android would not support UPC+5 barcodes and thus could not be used for comic books. CLZ Barry for Android *will* support comic book barcodes! A quick progress update on CLZ Barry for Android: The Android is coming along nicely. Almost all functionality has been implemented now. The ETA is still: Tuesday September 13. At the moment, Pim and AJ are focusing on the look and feel. Because of that, the app has finally reached a state where we could make a couple of screen shots that are quite close to the final look. What’s up at the CLZ HQ ? Busy days at the CLZ HQ. Finalizing Barry for Android, 4 programmers working on the Mac software, rewriting the clz websites… and in the meantime also moving our database and millions of cover images to new hardware. Fun! Using a Mac? Then join the CLZ Mac Club! CLZ Barry for iOS is live! What about the Mac editions? "What about the Mac editions?" Or: when will there finally be an update for my Mac software? Of course, the question is fully justified. The Mac editions of Music, Movie and Book Collector haven’t had a serious update for a long time. Also, the new Comic Collector for Mac has not yet received the features left out of the 5.0 release. Well, I am happy to announce that this is all going to change. Read on for our Mac OS X plans. In last year’s major upgrades for all Windows edition, we introduced the Find Cover feature. A simple way to find missing cover images using a Google Images search. Just point and click to add found images to your database entries. This feature has proven to be very popular, so this week we added it to all Connect editions. Here’s a cool video showing how CLZ Barry can be used with the Collectorz.com programs. 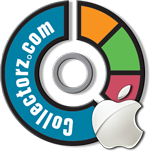 or just to go the App Store on your iPhone or iPad and search for “clz barry”.